​​MLAANZ is an association comprising more than 500 members from Australia and New Zealand and from several other countries. Its members include lawyers and judges, academics, representatives of major exporters, shipping companies, port operators, ship, cargo and liability insurers and government and defence force representatives. acting with foreign and other associations in efforts to bring about the unification of maritime and commercial law, maritime customs, usages and practices, and a greater harmony in the shipping laws, regulations and practices of different nations. The membership of MLAANZ is comprised of more than 500 members from Australia and New Zealand and from several other countries. 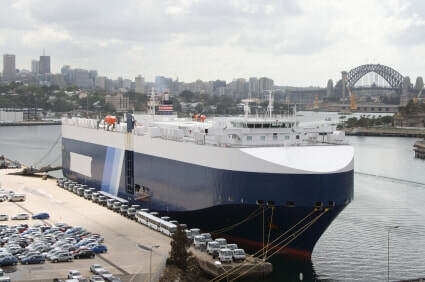 It includes lawyers and judges, academics, representatives of major exporters, shipping companies, port operators, ship, cargo and liability insurers and government and defence force representatives. MLAANZ contributes regularly to national and international debates about law reform in maritime law, participates in international working groups on issues for reform, and represents its members' views and interests at national and international conferences and conventions. MLAANZ holds an international conference each year in addition to the numerous conferences, seminars and workshops conducted at Branch level during the year throughout Australia and New Zealand. MLAANZ supports the education and training of future generations of maritime lawyers through its seminars and workshops and through the promotion of academic excellence by the annual award of the Morella Calder Prize.